Buy a shirt to show your support and help raise funds to cover expenses related to our resistance and civil disobience action! All funds raised will be paid directly to St. Stephen's Episcopal Church for administration on behalf of the Sanctuary and Sacred Resistance Task Force of the Episcopal Diocese of Los Angeles. All funds will go towards supporting Sacred Resistance in Los Angeles. 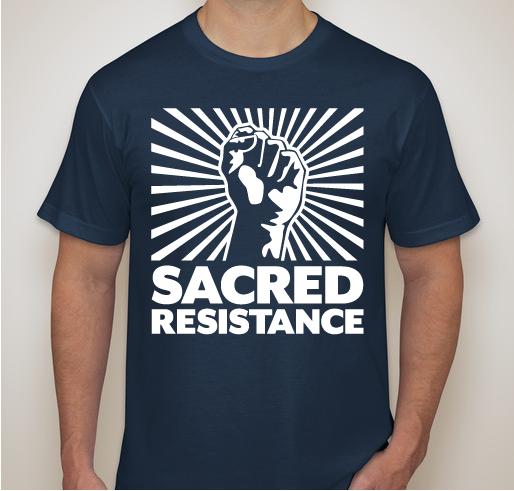 Show your support for the Sanctuary and Sacred Resistance movement with this tee which comes in a variety of colors and sizes. Huge thanks to Lauren, Sarah, & Kristin for their hard work on preparing the design! As people of faith and people of conscience, we pledge to resist the President‐elect’s policy proposals to harass and deport millions of undocumented immigrants and discriminate against AMEMSA ( Arab/ Middle Eastern/ Muslim/ South Asian) communities. We will embody faithful resistance in the public square and open our congregations and communities to provide sanctuary for anyone targeted by state‐sanctioned scapegoating, working as a matter of faith to ensure the dignity and human rights of all people. 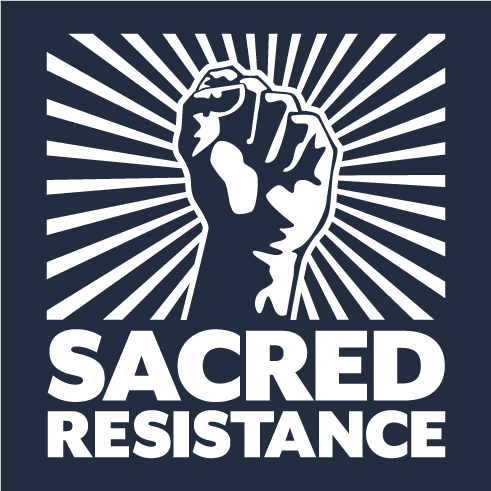 Share Why You Support "Los Angeles Sacred Resistance"